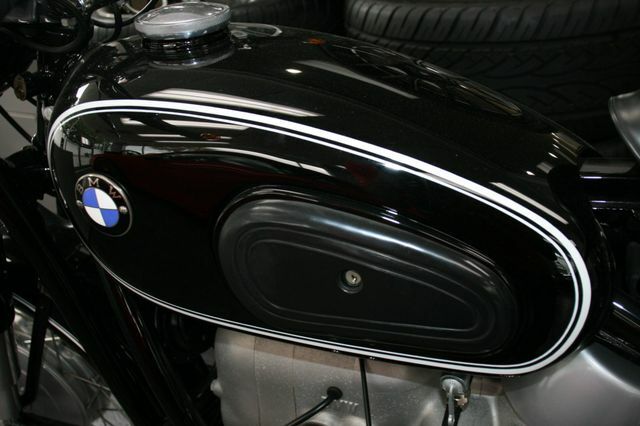 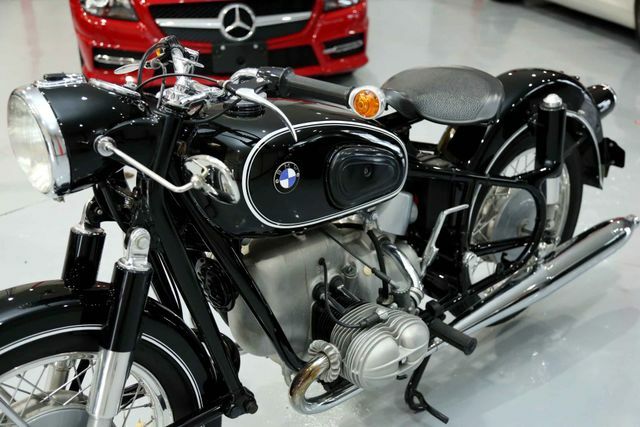 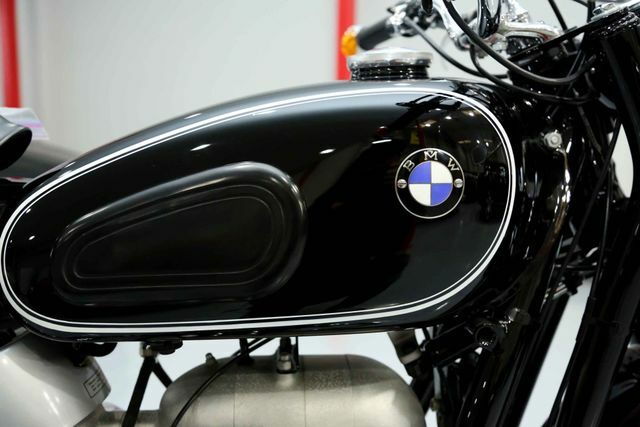 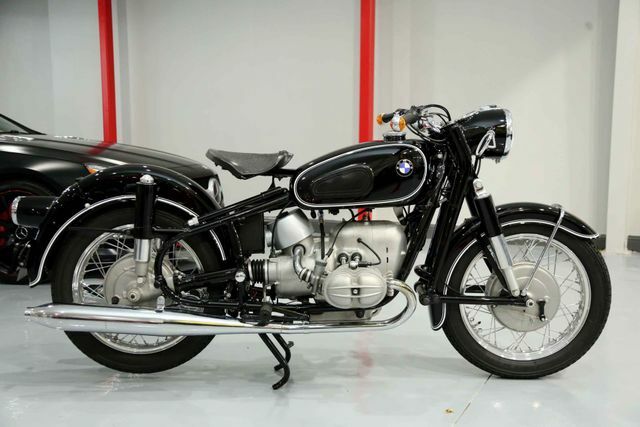 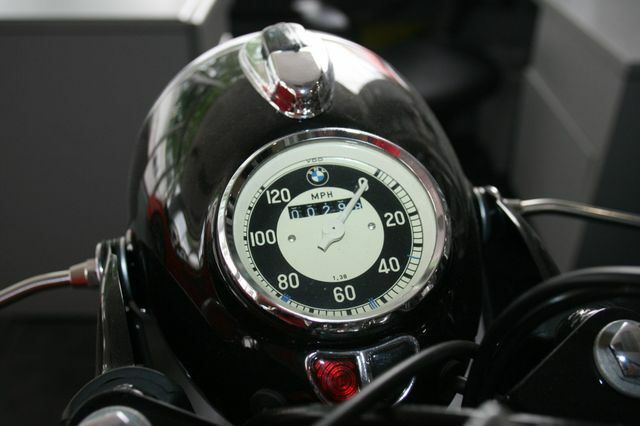 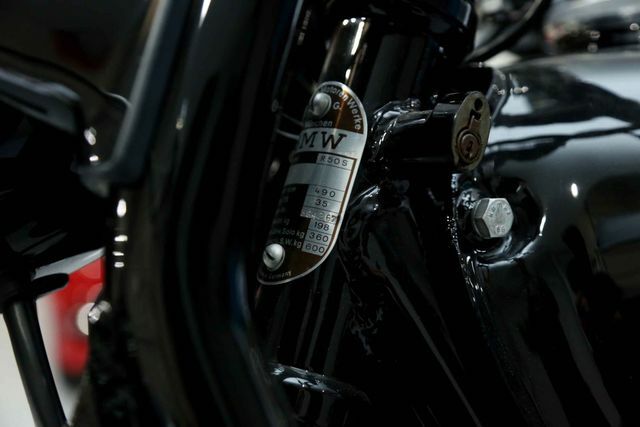 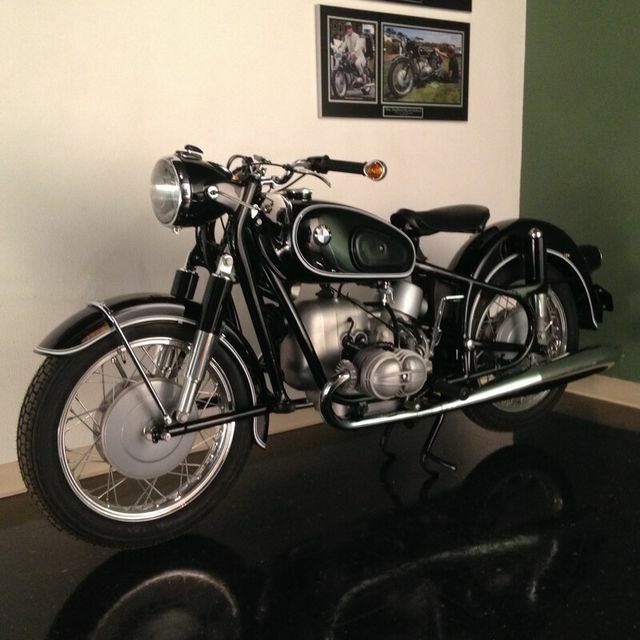 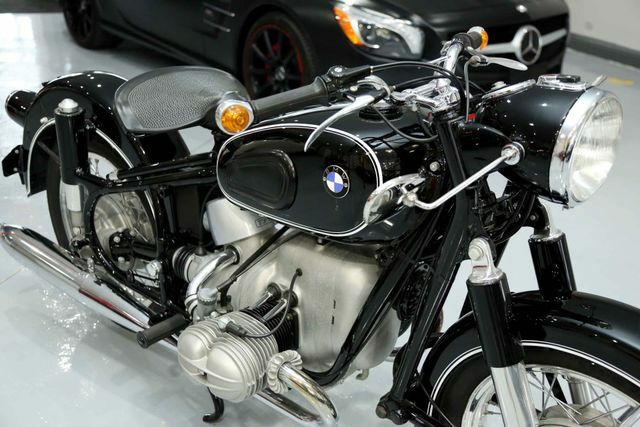 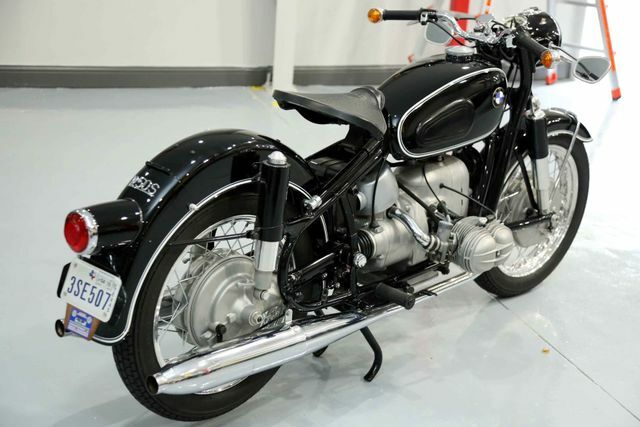 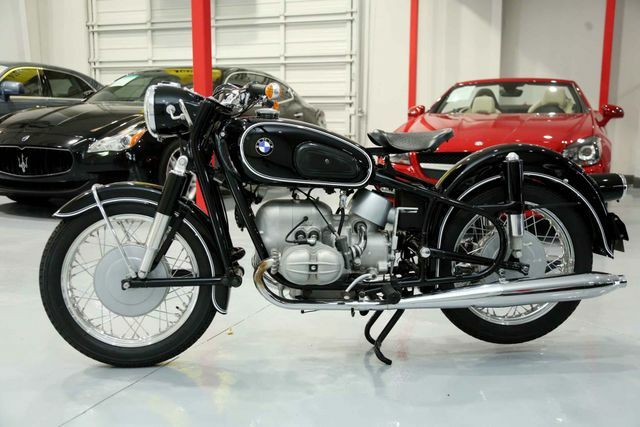 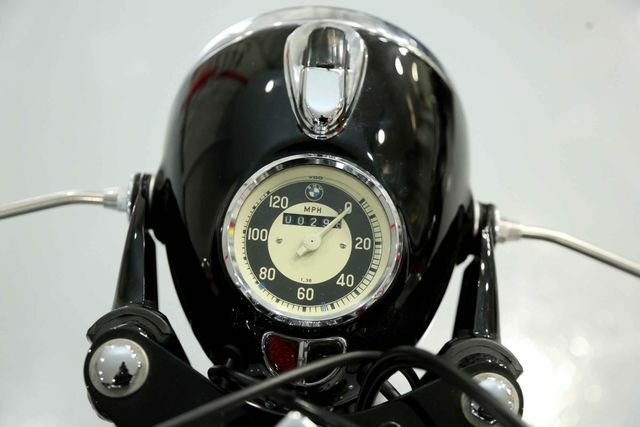 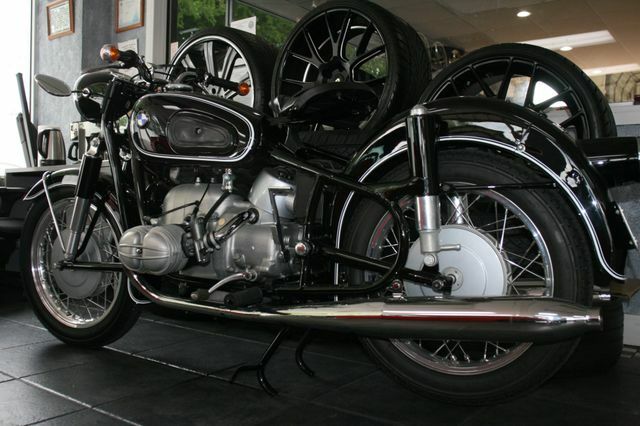 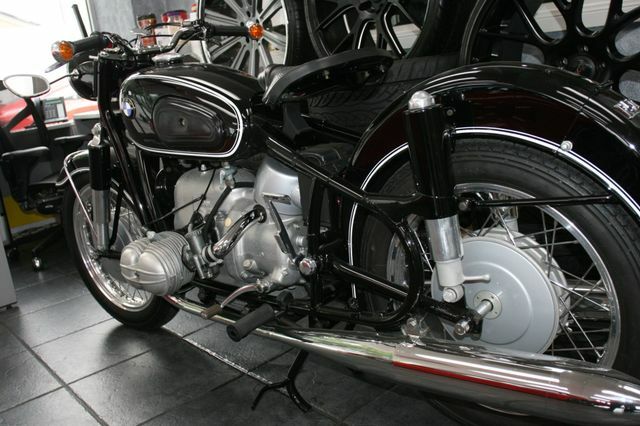 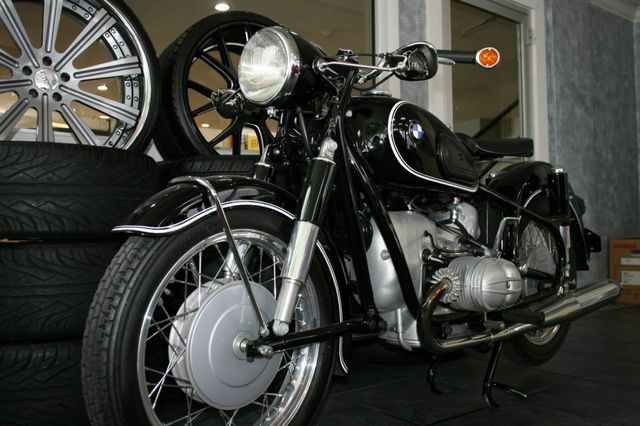 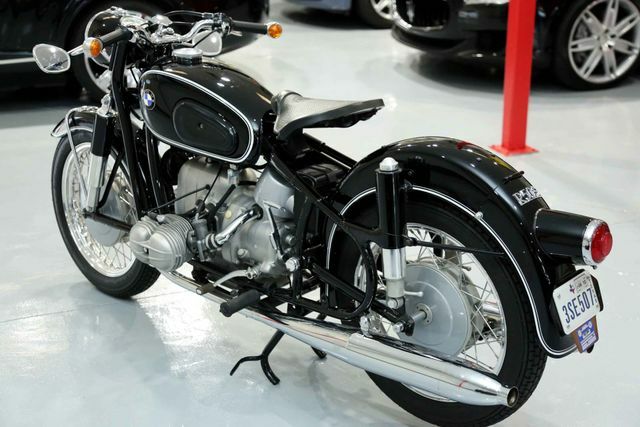 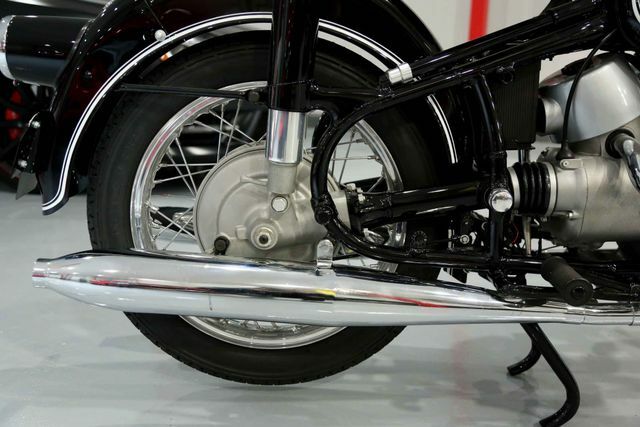 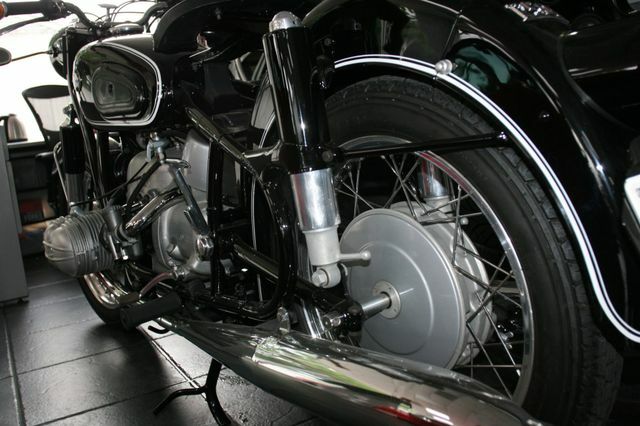 In the early 1950s, BMW concentrated on refining what were essentially pre-war designs, but by 1955 was ready with a brace of new machines, the R50 and R69. 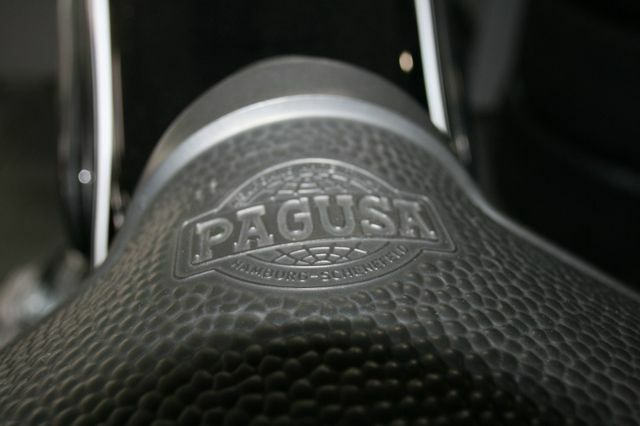 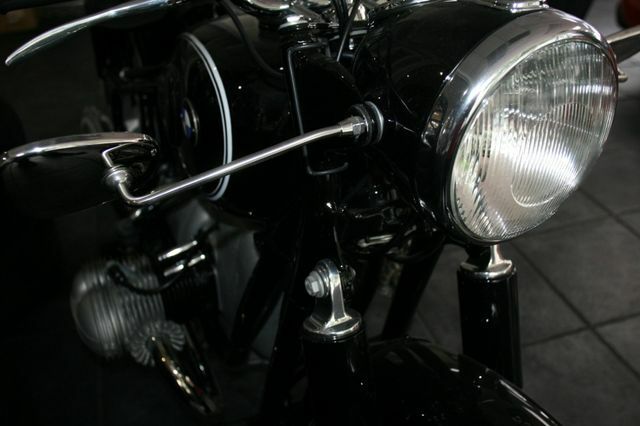 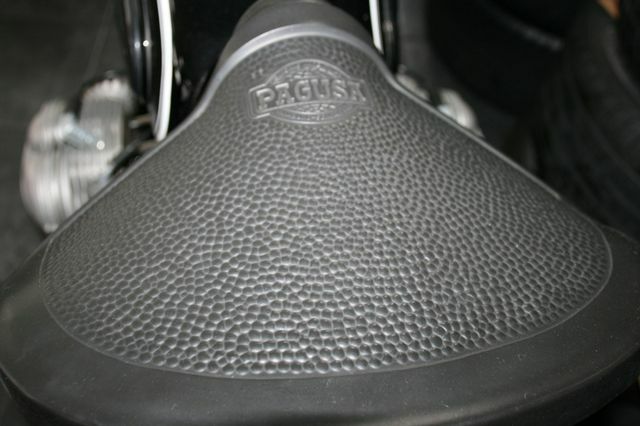 Of (nominally) 500cc and 600cc respectively, the newcomers inherited the updated flat-twin engine introduced on the R51/3 a few years previously, but deployed this in all-new cycle parts, the most notable departures from preceding practice being the Earles-type leading-link front fork and swinging-arm rear suspension enclosing the drive-shaft in the right leg - developments first seen on the works racers. Luxury tourers that cost as much as a small family car, the R50 and R69 sold to discerning enthusiasts to whom expense mattered little when set against the excellence of BMW engineering. 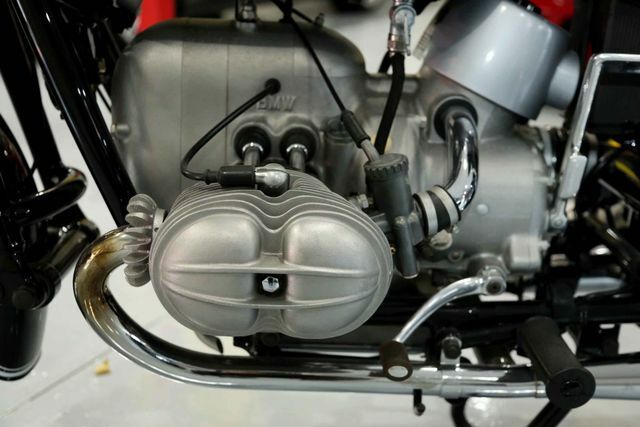 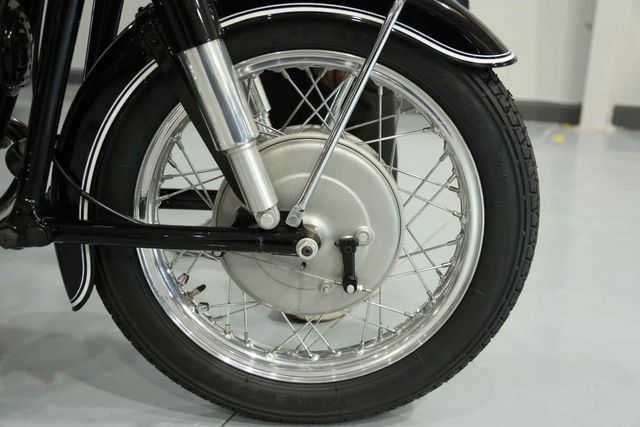 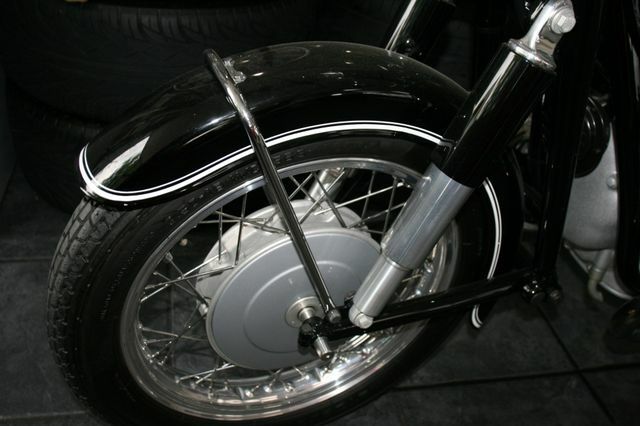 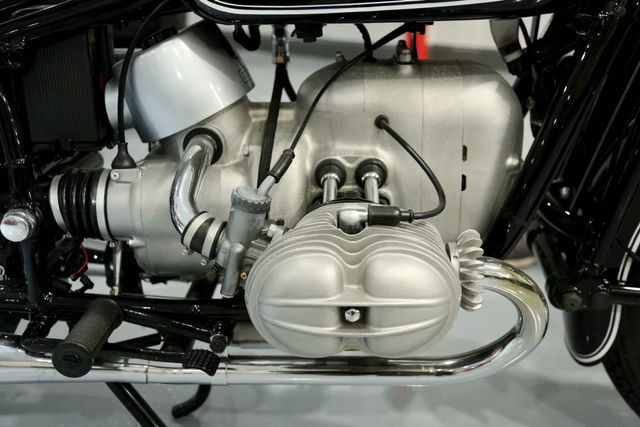 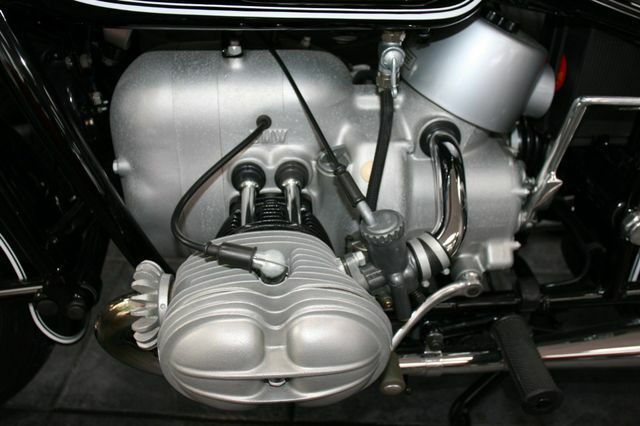 In 1960 the flat-twins range was revised as the '/2', most of the changes being inside the engine, which received a strengthened crankcase and crankshaft, hard-chromed piston rings, improved internal ventilation, new cam followers and a stronger clutch assembly. 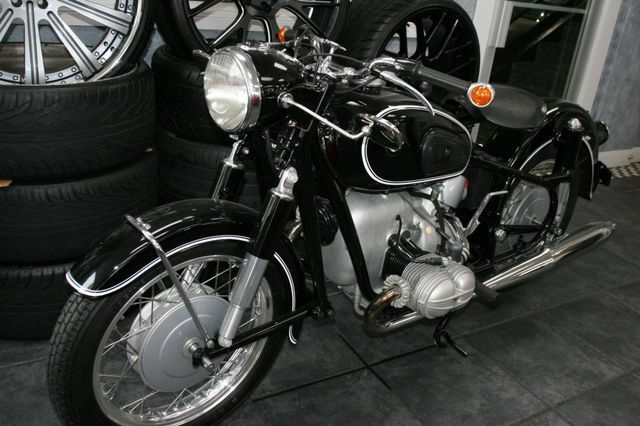 The new '/2' models were shown for the first time at the Nurburgring circuit in August 1960. 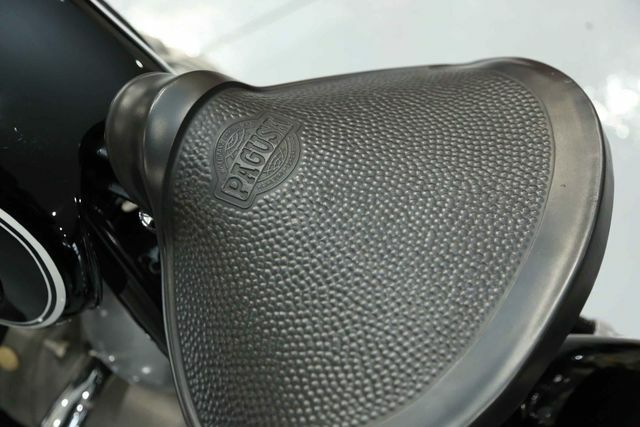 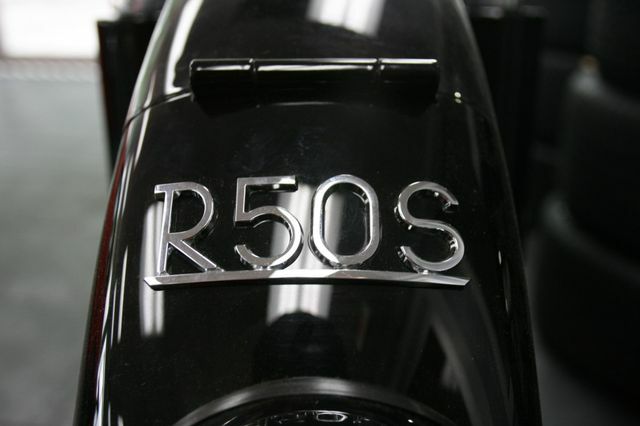 The R69 disappeared from the range at this time, its place being taken by a brace of new sports models: the R50S and R69S. 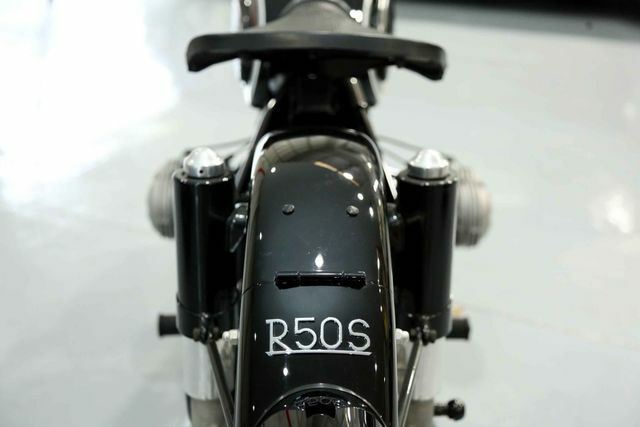 The larger of these, the R69S, produced 42bhp and was good for a top speed of around 110mph, while the 35bhp R50S did not lag that far behind with a maximum of around 100mph. 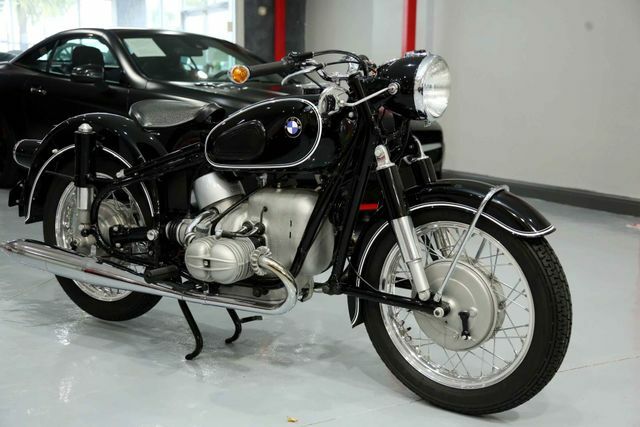 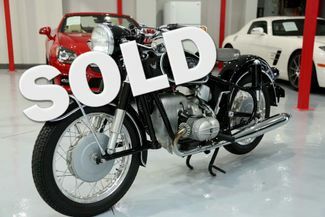 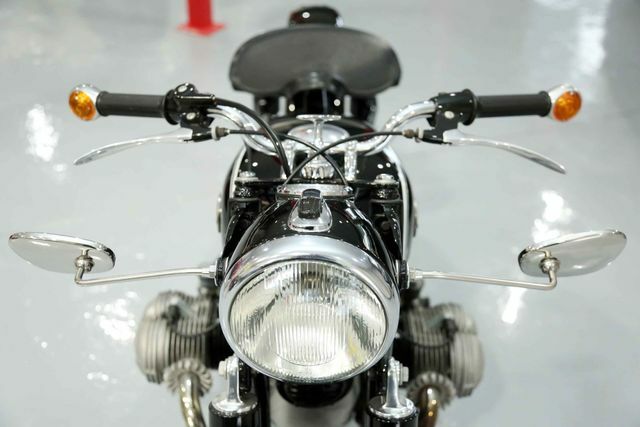 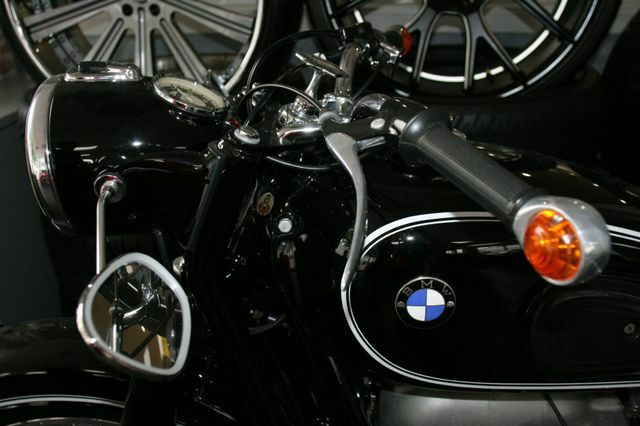 Produced between 1960 and 1962 only, during which time 1,634 examples were completed, the R50S is one of the rarer post-war BMW twins and highly sought after by BMW collectors.